Intra-day charts OHLC values in Kite are not 100% reliable. This issue was highlighted to them countless times, but they have a standard reply. Try using charts on investing.com. 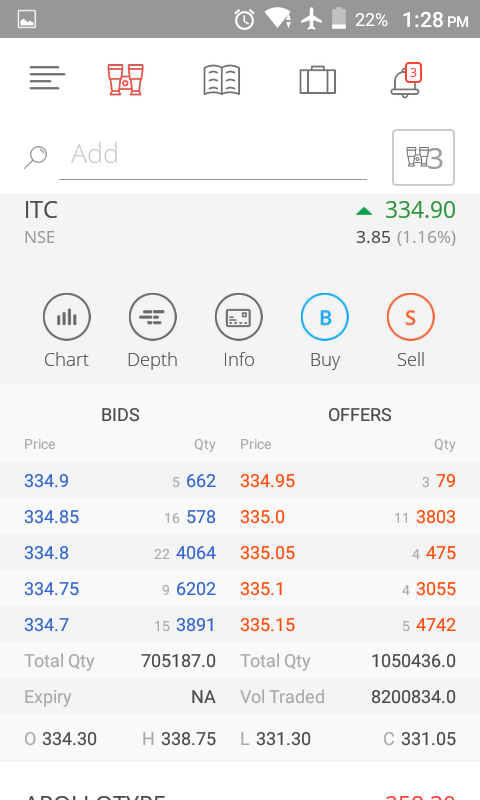 [image][image] ITC OPENING PRICES THIS MORNING 6 July 2017 Why there is difference in data seen through charts n normal scrip pane. 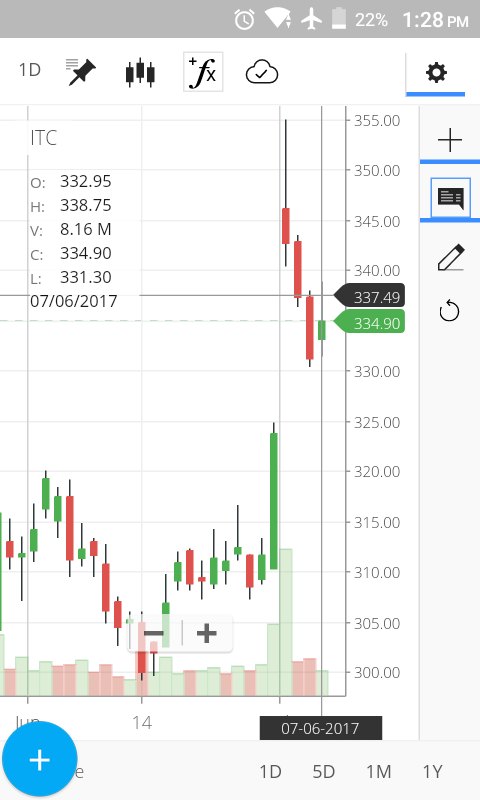 All analysis would go in vain with wrong data, i wonder if past data shown by zerodha is correct or not. CAN SOMEONE PLEASE GUIDE WHAT IS HAPPENING HERE AND IF POSSIBLE LINKS TO SOME RELIABLE CHARTING HAVING MINS DAYS ETC. Guide me pls. For minute close it is LTP of that particular minute, where as for a day close is last 30 mins volume weighted average price, so both will be different. Problem is when I try to programatically replicate indicators from chartIQ , sometimes indicators (moving averages) takes close value from 1 day candle , some indicators (pivot points) take close from 1 min candle . So its confusing . Okay, but it is like that only, nothing wrong with LTPs.